Chef Jim Denevan started hosting “farm dinners” at his California restaurant twelve years ago. During these dinners he would invite the local farmers who grew his produce to the table as his honored guest. Eventually the dinners moved from his restaurant to the farms themselves. 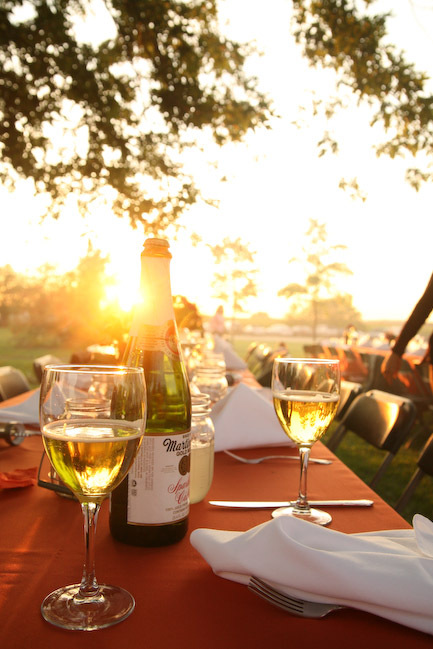 The dinner series is now called, “Outstanding in the Field” and brings together local farmers, chefs, winemakers and other food artisans along with a few lucky diners. The group dines together at one long table in a field for an alfresco feast. The event comes to Colorado in July at three different locations. July 19 at Divide Creek Farm in Silt, July 20 at Copper Bar Ranch in Edwards and July 21 at Red Wagon Organic Farm in Boulder. This entry was posted in Events, Food, Places to Go and tagged Cooking, Events, Food, Life in Colorado. Bookmark the permalink.